Best Blockchain Programming Languages in 2019? When looking to develop your blockchain project, there are a lot of things you need to consider before stepping into the process. Whether it’s a public blockchain, consortium or private blockchain? You need to outline answers to such questions beforehand. 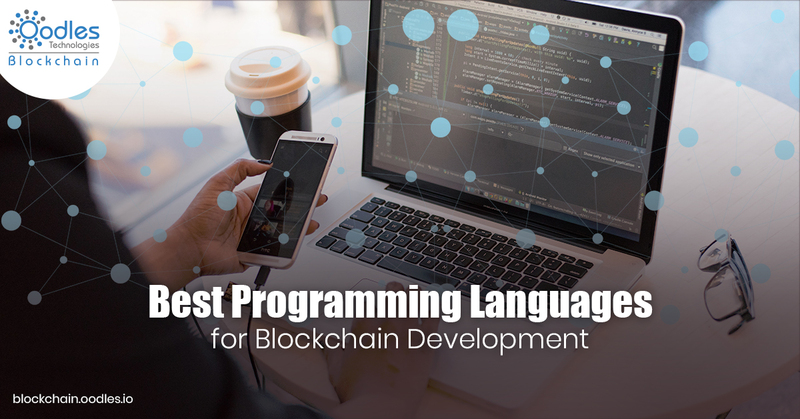 So, to help you get answers to the above questions we’ll keep writing, however, in this article, we’ve outlined best blockchain programming languages for blockchain development to make it easy for you to choose one of them. The languages listed below are some of the trending tools of the trade right now in the Blockchain world. C++ is one of the most used languages for programming and has been around for a while. Although it is mainly used for high-octane tasks, it also enables developers to understand the hardware itself. Thus, making it popular for uses such as computer graphics and embedded systems. Created by Bjarne Stroustrup, it was an addition to the C language and aimed to have the efficiency and flexibility of it but with some key differences. The main distinction between C and C++ is that the former is process-oriented, while the latter is object-oriented. It means that, in C++, the functions and data are bundled into one small package called “objects” so that created objects can be easily called for reuse in other programs, thus, hugely reducing the coding time. Indeed, this language provides effective management of resources and excellent control over memory. Also, Blockchain requires users and miners to coordinate and operate simultaneously and systematically. So, to help them achieve this goal, C++ creates applications that not only coordinate with endpoints but also executes their interaction speedily. That’s why blockchain projects like Ripple and Bitcoin are written in C++. It’s a blockchain programming language that enables blockchain developers to code more human-centric smart contracts. Simplicity was created with an aim to enhance basic cryptocurrency languages like Ethereum Virtual Machine (EVM) and Bitcoin Script. Bitcoin’s smart contract language, Bitcoin Script is low-level and requires a thorough understanding of Bitcoin. It utilizes static analysis- a technique that allows a universal algorithm to assess the cost of executing any Simplicity Program- to avoid the halt of programs due to the exhaustion of gas during the analysis. That’s how simplicity makes it way easier and faster to write smart contracts. Java is the heart of the worldwide web. Some even argue that it’s equally crucial language as are HTML and CSS. It’s mostly used in creating highly interactive web pages. It’s because the language is excellent in managing asynchronous actions, making a suitable alternative for blockchain development. Python boasts a large, active community that released libraries like SciPy, NumPy, and Pandas for various applications related to maths, science, and engineering. Python is mainly known for crunching numbers- using large datasets and analyzing, processing and visualizing them. Thus, it’s used mostly for data-driven industries like finance and internet of things. Here are a few posts that you may want to look at if you’ve decided to use Python as the programming language for the development of your blockchain project. Its script is similar to those listed above and follows the theories like variables, functions, and classes of them. While it has many similar advantages to language like Simplicity, solidity is designed mainly for the Ethereum blockchain network. Solidity enables programmers to write higher-levels of code that can be compiled down into low-level machine language.